Child support is meant to help the custodial parent provide housing, clothing and food for the children. For example, a mother receiving child support often uses it to pay the mortgage or rent and to provide for the children's basic needs. In most states, there are also extraordinary expenses that are not included in child support. These expenses include your children's extracurricular activities, such as membership on a sports team or taking dance lessons. Summer camp and private school tuition are also considered extraordinary expenses not covered by child support. In some situations, things such as driving lessons, school trips, yearbooks and prom expenses are also considered extraordinary. While a divorce is pending, a custodial parent may need money in order to pay for the children's basic needs. This is more common when the parents live in separate households while the divorce is pending. If this occurs, the court will enter what is called a pendente lite order, which means a temporary court order that only lasts until the divorce is finalized. A noncustodial parent is usually required to contribute money each month to make sure his children's needs are met. Whatever amount of money is ordered at this time is likely to change once the divorce is finalized and the actual amount of child support can be determined. For pendente lite orders, the court will usually look to the status quo set during the marriage. This means the court will require the noncustodial parent to pay enough money to the custodial parent so that the family can continue to enjoy the same standard of living that occurred during the marriage. In most states, the cost for work-related child care, such as preschool or day care, is not considered extraordinary. Similarly, the cost for your children's medical insurance is also not considered extraordinary. Instead, these expenses are typically covered by child support in one of two ways: they are either included directly in the child support calculation or they are considered mandatory add-ons that a noncustodial parent must pay in addition to child support. It is important that parents have a firm understanding of their children's current and future extraordinary expenses. These expenses should be viewed from an annual standpoint. 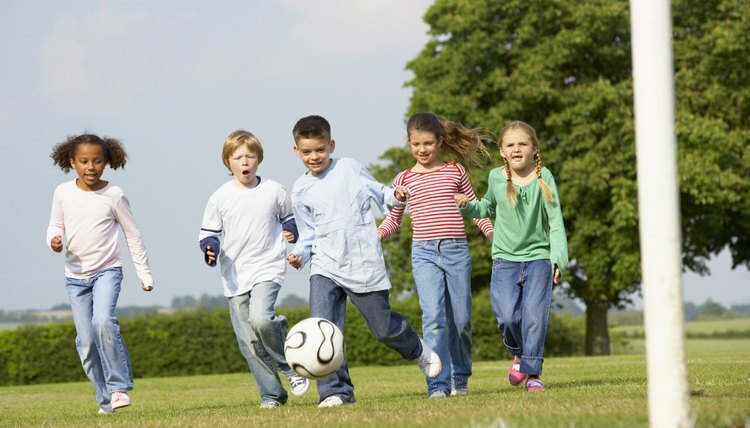 It is important that parents remember that their children's extracurricular and social expenses might increase in the summer when the children are not in school. It is also important that parents recognize that their children's expenses are not constant and may increase in future years. This is particularly relevant if the children are infants or toddlers at the time of the divorce. Having an understanding of your children's extraordinary expenses is an important part of a divorce because it helps parents have a more complete understanding of their total financial situation. Since extraordinary expenses are not covered by child support, parents must find a way to divide these expenses fairly. There are two popular ways that extraordinary expenses are divided. The first approach is an income shares approach: each parent pays the percentage of the expense that equals that parent's percentage of the shared income. For example, if a father earns 75 percent of the total income between he and the mother, then he would pay 75 percent of all extraordinary expenses and the mother would pay 25 percent of them. The other approach is simply to have each parent pay 50 percent of the extraordinary expenses. Oftentimes divorce agreements will have a provision requiring the parents to communicate with each other before incurring an expense for the children that is more than $100.00. This protects both parents from having to pay a large expense with no notice. If parents are unable to reach an agreement with respect to the payment of extraordinary expenses, a judge will review the evidence and make a decision. If this becomes necessary, the judge will review all of the financial aspects of the case, including each parent's income, work history and current assets and debts. The judge will also review the history of the children's involvement in extracurricular activities to determine if the expenses are excessive or reasonable. Finally, the court may consider each parent's living situation, including their housing expenses and whether they live with family members or a roommate. Ultimately, the judge will need as much information as possible about the family's economic circumstances so that he can find a way to divide these expenses in a way that is not overly burdensome to either parent. CivilizedDivorce.com: What children's expenses are not covered by child support? Massachusetts Divorce Law Monitor: Child Support: The Additional Expenses You Should Be Aware Of. In New Jersey, divorced parents are required to contribute to the financial needs of their children, including unreimbursed medical expenses. Typically, the parent receiving child support is responsible for paying the initial unreimbursed medical expenses up to a certain dollar amount per year. After that, the parents generally split the expenses in one of several ways. If a child has unique medical needs, a judge can always make a different ruling with respect to how much each parent pays. The bottom line is that unreimbursed medical expenses are always an important consideration when it comes to divorce and child support.